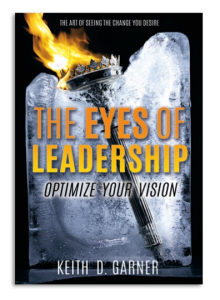 “The Eyes of Leadership,” by experienced management consultant Keith Garner, is a nonfiction leadership book written to help experienced leaders, developing leaders, and aspiring leaders lead their teams with experience and wisdom. The Eyes of Leadership helps leaders understand how to communicate effectively, inspire their teams, and create goals for team development with their team members. Aspiring leaders wondering “What is leadership?” and established leaders wondering “How do I become a better leader?” or “How do I develop leadership skills?” will find this leadership manual to be an indispensable resource written with authority and expertise. Leadership classes and groups studying leadership principles will be aided greatly by Keith Garner’s informative introduction, “The Eyes of Leadership.” This encouraging and uplifting leadership manual will help business leaders, church leaders, professional leaders, and family leaders apply foundational leadership principles to their own lives. – Benjamin F. Copeland, Jr.
ORDER “THE EYES OF LEADERSHIP” TODAY! Every individual ever created since the beginning of time will receive at least one promise in his or her lifetime.Not necessarily a person’s destiny, but a simple promise. A promise that the Great Creator, Himself, will deliver to you at an appointed season and time. Whether it is a promise of marriage, children, career, inheritance, business opportunity, car, money, travel, or any other imaginable desire you can conjure. Theologians say there are more than 3,500 promises delineated in the Holy Scriptures for mankind. This book, The Promise, illustrates the ability to achieve a promise from God by understanding the definition of a promise, the prepared state that one must be in and the position of patience that one must display. 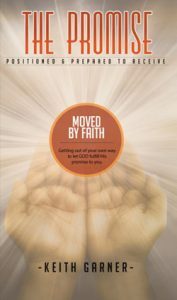 Through this book the reader will be able to identify the point in their life where they are close to achieving a specific promise from God. After identification, one can achieve and receive the promise from God. Spiritual guide to help you achieve and receive your long awaited promises. Every individual ever created since the beginning of time will receive at least one promise in his or her lifetime. Not only a person’s destiny, but also a simple promise. A promise that the Great Creator, Himself, will deliver to you at an appointed season and time. Whether it is a promise of marriage, children, career, inheritance, business opportunity, car, money, travel, or any other imaginable desire you can conjure. How to prepare oneself to receive. How to position oneself to receive. How to be persistent in one’s journey. CLICK HERE TO ORDER “THE PROMISE” TODAY!